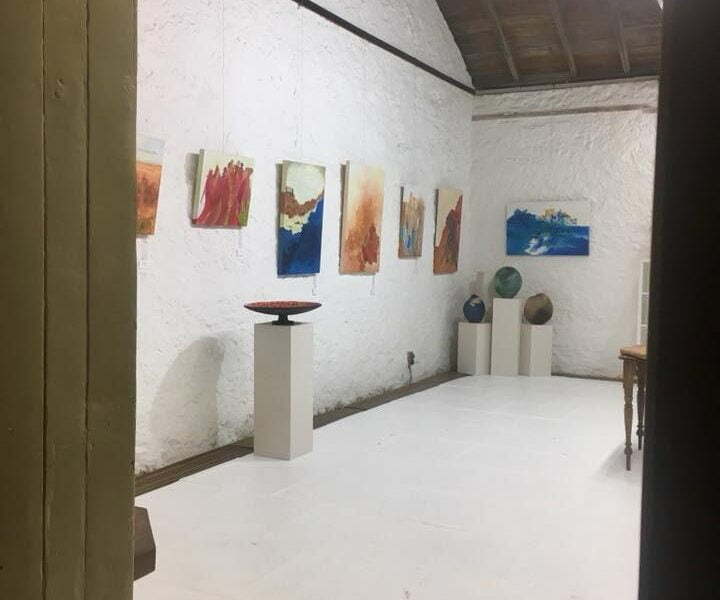 Kidogo Arthouse hosts a variety of exhibitions throughout the year and accommodates a plethora of artists and visiting galleries on a local, national and international scale. Kidogo is a historic and character-rich limestone building perched at the edge of the sparking Indian Ocean. Rain, hail or shine Kidogo is a beautiful place to appreciate art in all it's wonderful forms. Scroll down to view our past and present exhibitions. Check our Facebook page for updates or email us for more information. John Grono’s exhibition of sculpture and mixed media opens 6:30pm 29th June to 13th July.